Welcome to Milton Hyundai, your Signature Certified Hyundai dealership in Milton, Ontario. 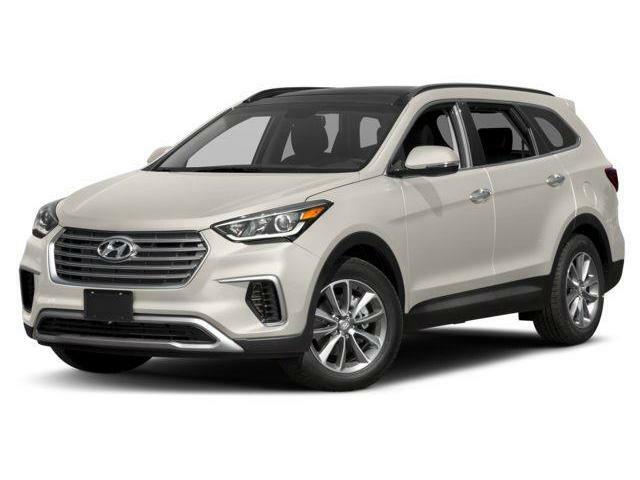 We are presenting the new 2017 Hyundai Santa Fe XL. You can find all the relevant information below. Enjoy! Redesigned for 2017, the sophisticated presence of the Santa Fe XL features a wealth of new lighting technology. New LED daytime running lights add a sporty presence while the available HID headlights with an Adaptive Cornering System optimally light the path ahead. The available High Beam Assist system provides added convenience by automatically turning high beams on or off based on oncoming traffic. The available HID headlights offer crisp, white illumination of the road, improving visibility and reducing driver strain on longer trips. The advanced lighting technology also features an Adaptive Cornering System, which enables the headlights to turn with the direction of the steering wheel to optimally light your path ahead. With the available high beam assist system, a front camera continuously monitors traffic situations to automatically turn high beams on or off based on oncoming traffic. Body colour, power-adjustable and heated side mirrors are enhanced by the available integrated LED side repeaters, which provide added visibility. This available feature delivers maximum convenience. It automatically opens the rear liftgate when you stand within three feet behind the vehicle with the available proximity key for more than three seconds. And unlike some vehicles, there is no need to kick or shuffle your feet to engage this feature. Plus, the handy height-adjustable function allows users to stop the liftgate at various heights to avoid low overhangs. Dual chrome exhaust tips add a touch of sport to the dynamic styling of the Santa Fe XL. The 2017 Santa Fe XL features standard 18” aluminum alloy wheels and available 19” aluminum alloy wheels (19” wheels shown). Available LED tail lights not only look great during the day, but also dramatically increase visibility at night. Climb into a space where emotion meets technology, where 6 or 7 people can travel together with comfort and convenience on your side. The cabin is like an extension of your home. Standard Bluetooth® lets you connect seamlessly with friends and family, the temperature can be adjusted at the touch of a button with the available dual-zone automatic climate control and ventilated front seats provide added comfort on hot summer days. Transform the comfortable interior into the ultimate cargo hauler with reclining second-row seats that split-fold 40/20/40 and slide forward for flexible storage options, while third-row seats split-fold 50/50 to even further enhance cargo utility. The available Smart Power Liftgate will make it that much more convenient to load and unload your cargo. The available panoramic glass sunroof provides exceptional openness and luxury. Standard on all models with cloth seating is a YES Essentials® seat fabric treatment that provides soil-resistant, anti-odour and anti-static properties for added longevity and liveability. Reclining second-row seats split-fold 40/20/40, feature remote release from the cargo area, and slide forward for flexible storage options - or to help bring a child seat closer to front passengers! Third-row seats split-fold 50/50 to further enhance cargo utility. Add it all up and the 2017 Santa Fe XL provides up to 2,265L of cargo space, and that’s not including the 51L under-floor storage. A standard 5.0” touch-screen display with rearview camera provides an intuitive interface for you to stream music from your smartphone or to talk to family and friends with the Bluetooth® hands-free phone system. An impressive 8.0” touch-screen navigation system makes it incredibly easy to navigate so you can maintain your focus on the road. An available integrated memory seat system will allow you to store seating and side mirror positions for two driver profiles. Adapt to the cold weather with the standard driver and front passenger heated seats. Receiving equal attention, your rear seat passengers will thank you for the luxury of the available heated rear seats. And just in case your journeys take you somewhere warm, the 2017 Santa Fe XL also offers available ventilated front seats. The Luxury and Limited models offer an available 6-seat configuration (standard on Ultimate model) with second row captain’s chairs. Now even the rear seat passengers can feel like they’re in the captain’s seat. Take control in comfort and style with an available heated, leather-wrapped steering wheel. Also find close at hand your cruise control, audio system and standard Bluetooth® hands-free mobile phone interface controls. For complete and immersive surround sound, the available Infinity® audio system produces true-to-life acoustics through 12 strategically placed speakers, providing equal listening pleasure to all occupants in the 2017 Santa Fe XL. Get multiple perspectives when you park with a split-screen view of the Santa Fe XL. This advanced Multi-view Camera system includes an aerial view of the vehicle for a comprehensive look of the surrounding environment. Standard features include a multi-adjustable driver’s seat with 2-way power lumbar support (also comes standard for front passenger), while those wishing to further customize their experience can get the available 12-way power adjustable driver seat on Premium, Luxury, and Limited models. Limited models also feature an integrated memory seat system, allowing you to switch from two profiles at the touch of a button - that not only adjust automatically to the driver seat preference, but also to the corresponding exterior mirror positions as well. 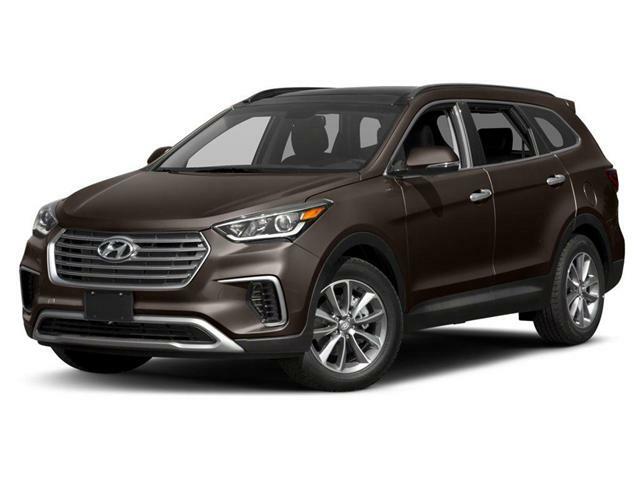 The 2017 Santa Fe XL is equipped with a powerful 3.3L V6 engine mated to a 6-speed automatic transmission with SHIFTRONIC® manual shift mode, delivering 290 horsepower and 252 lb-ft of torque. Put the power to good use with a confident 5,000 lbs of towing capacity to pull your favourite toys, and be ready for adventure in all weather conditions with the available All-Wheel Drive system with Active Cornering Control. Take on your adventures with added peace of mind. The 2017 Santa Fe XL is equipped with a comprehensive package of top safety features, including an array of newly available situational awareness and driver assistance technologies. $44,744 x 84 Months @ 3.97% APR (estimated financing rate, cost of borrowing $6,539). $40,327 x 84 Months @ 3.97% APR (estimated financing rate, cost of borrowing $5,893). $37,127 x 84 Months @ 3.97% APR (estimated financing rate, cost of borrowing $5,425).